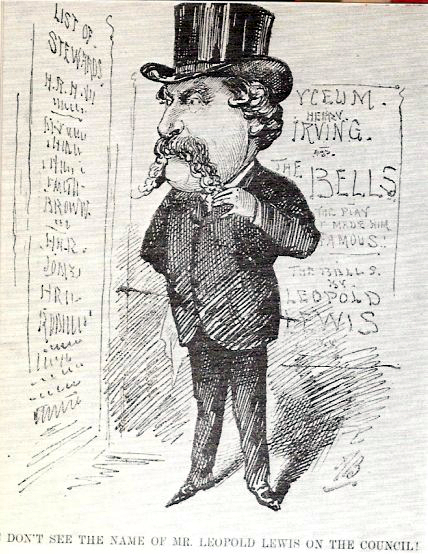 Lewis, Leopold (1828-1890): Lewis was a solicitor from 1850 to 1875. In 1871, he adapted The Bells from Emile Erkmann and Alexander Chatrain’s Le Juif Polonais, produced by Henry Irving at the Lyceum. The author always felt his adaptation not Irving’s skill accounted for the play’s triumph. The following year, he wrote The Wandering Jew performed at the Adelphi for 151 nights.